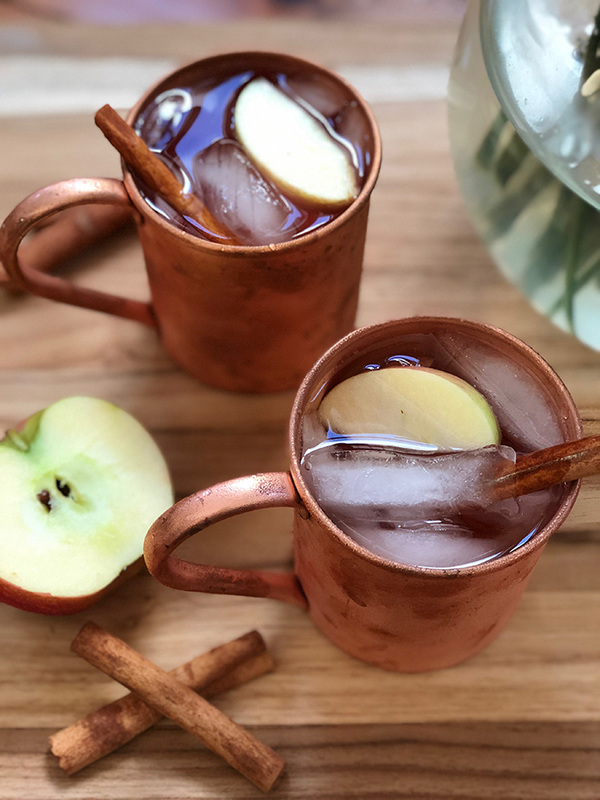 This week it finally started to look and feel like Fall, so I wanted to share an autumnal twist to one of my favorite cocktails with y'all - a Moscow Mule! 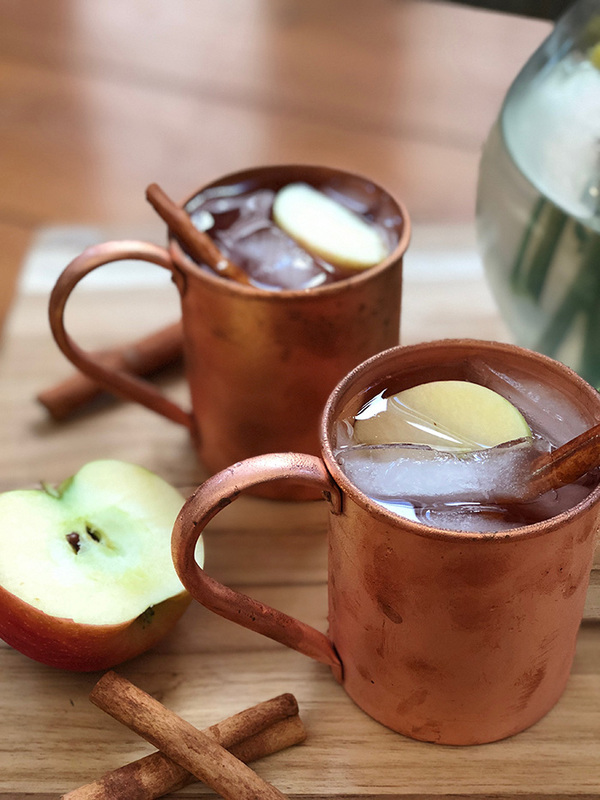 This mule is a sweet and spicy version of your traditional Moscow Mule, which is usually just ice, lime, vodka and ginger beer. Here, you're subbing the vodka for a flavored version and adding a little apple cider. I originally found this recipe here and it's killer! 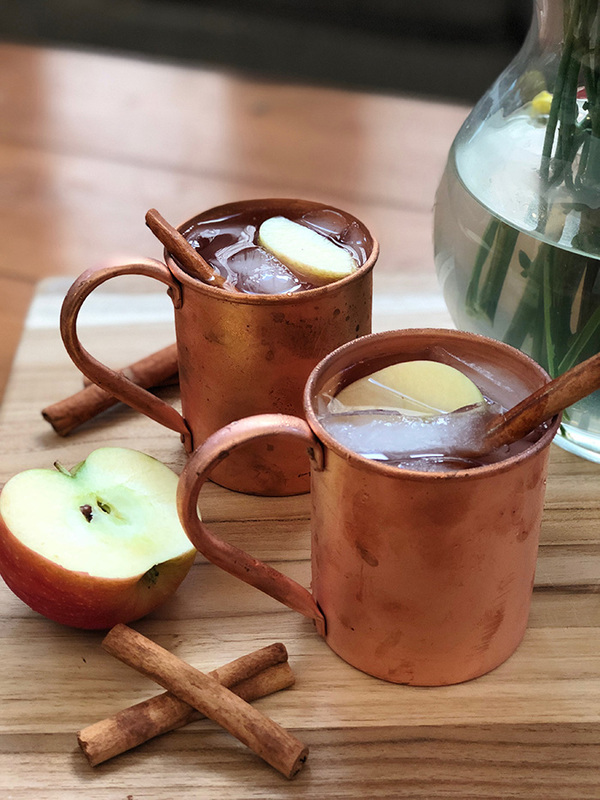 Fill copper mule mugs (or regular glasses) with ice, vodka and apple cider. Top with the ginger beer and garnish as you please! I also saw another version of this drink that was a twist on the Kentucky Mule - using whiskey in place of vodka. If you're a whiskey drinker, like my hubby, that might be a fun one to try, too!